Ramón Esteve, architect of harmony, serenity, timelessness and universality has created mineral and emphatic shapes that make FAZ a design that contextualizes with homes and installations. An ambience, encircling as a result of the blissful combination of the material and lighting, so that the sole sensation would be its fusion. 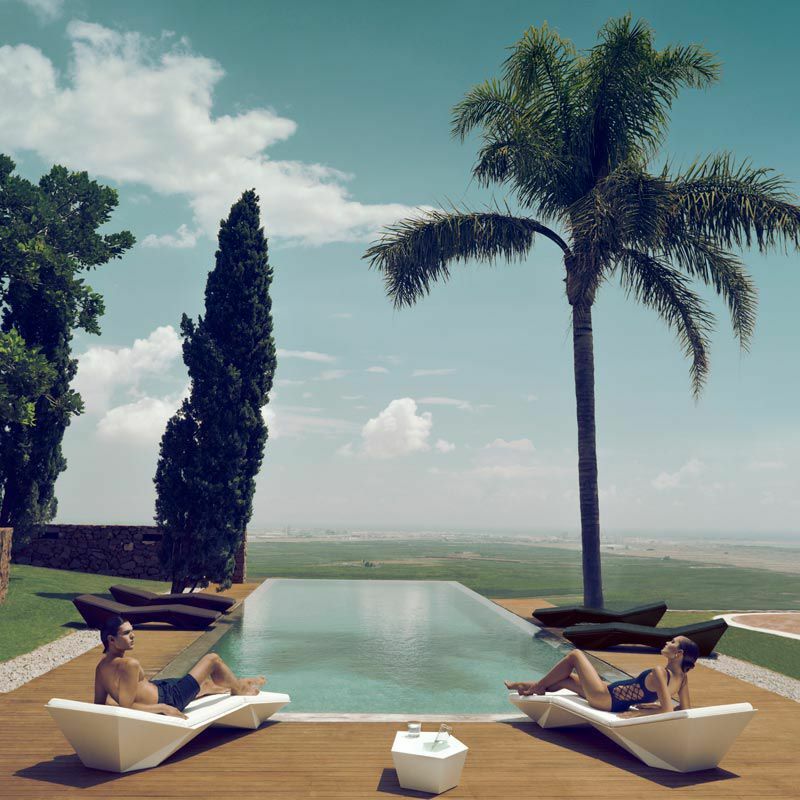 Their VONDOM spirit is experienced exclusively in the quality of the material that permits an exterior using even in the most exacting environments. The modularity of FAZ permits the consumers to adapt the furniture and flowerpots to their style and needs without losing the harmony of this furniture set. It’s upholstery is available in excellent quality nautical canvas or polyester fabric. The result is a product that transmits essence, that contains the complexity and the density of a work finalized to the extreme degree, the purpose of which is to create desirable places to live. ca vivir.